Whether you’re remodeling your entire kitchen, or you’re simply replacing the countertops, there’s a lot of things to consider when choosing your countertops. Countertops can be made from a wide array of materials, which can make selecting the right one for you and your home challenging. 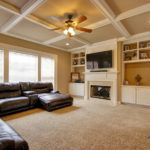 As you look to select a material, you need to consider many factors, including price, any necessary upkeep, and if the material Is a good fit if you’re considering aging in place. Here are three popular countertop options and the pros and cons associated with each option. Granite is a natural stone that has been one of the most popular options for countertops for the past decade. Granite comes in a variety of different colors and grains, That are sure to be a great complement to new or existing cabinets and flooring. 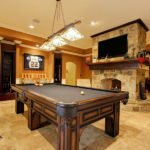 There are many benefits associated with granite countertops. 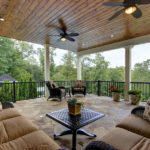 Because they are generally considered to be an upscale choice, they add value to your home. They are also heat resistant and won’t break or discolor if you place something hot on the countertop. There are a few drawbacks associated with granite countertops. Granite countertops are completely natural. This means there can be imperfections or flaws in the stone. Additionally, no two slabs are exactly alike, so if your installation requires multiple slabs, they may not match up exactly. The countertop is also high maintenance. It needs to be sealed routinely to help prevent staining and it needs to be properly cleaned and cared for. Granite can also break or crack due to high impact blows. Quartz is often referred to as the perfect alternative to natural stone countertops. It is a manufactured stone material. Quartz has many benefits, especially compared to natural stone countertops. Since it is manufactured, it comes in more colors and designs than stones. It also lacks the imperfections and flaws of natural stone, making it very easy to match up multiple slabs for larger jobs. Quartz is one of the hardest materials available for countertops, which makes it extremely long-lasting and durable. Lastly, it requires less maintenance than natural stone countertops. Quartz does have a few drawbacks as well though. Quartz can be damaged by heat and quartz is typically higher in price than granite. A solid surface or poly stone countertop is a countertop designed to look like stone, but are made primarily from either acrylic or polyester materials. One of the major benefits associated with solid surfaces or poly stone is that they are non-porous, which makes them resistant to germs and bacteria. They are also low maintenance and easy to repair. If damage is done, they can be sanded down to remove the damage. There are a couple of drawbacks associated with solid surfaces and poly stone. These surfaces are more prone to scratching than other options and heat can cause them to warp or become deformed. Selecting a countertop material is only one of the choices you have to make in regards to the countertop. You also need to consider the types of edges the countertop has, the height of the countertop and the width of the countertop. If you are looking to age in place, all of these factors are extremely important. 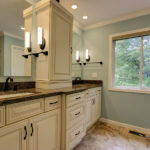 Here at Quality Craftsman, we are Certified Aging In Place Specialists, helping families through the East Cobb area with all of their kitchen renovation needs. We create kitchens that are functional now and well into the future for family members of all ages and mobilities. Call us today to get started!